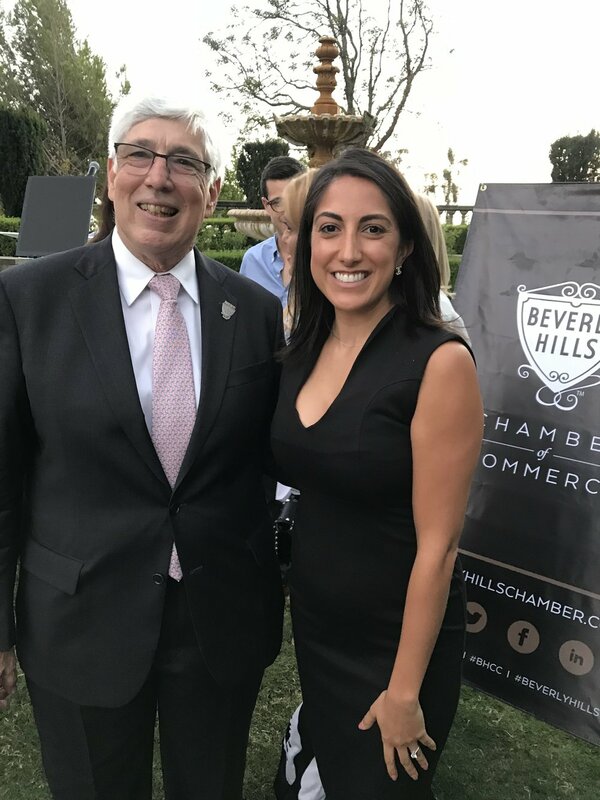 An Evening With The Mayor is an annual event hosted by the Beverly Hills Chamber of Commerce. 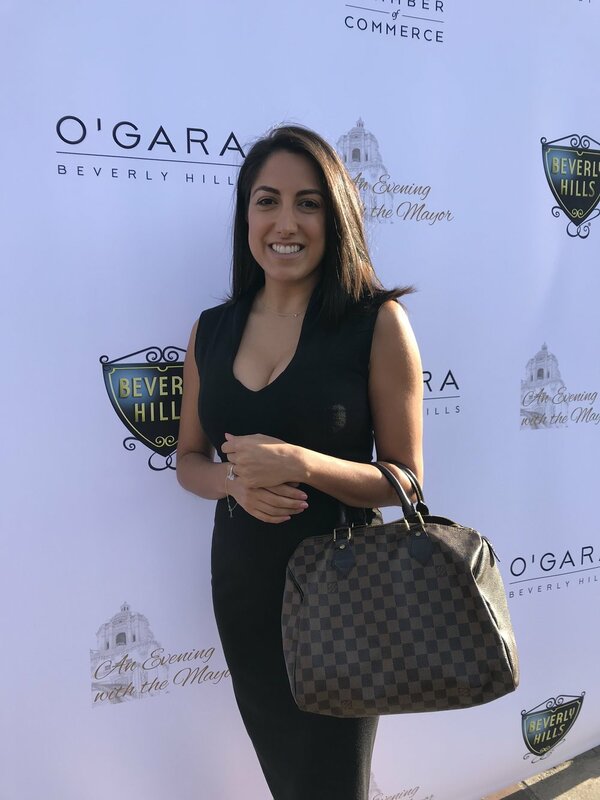 Held at the iconic Greystone Mansion, it was definitely an evening of elegance that one often only gets to experience in a movie. We were first picked up by Starline Tours, the official shuttle service of the evening. 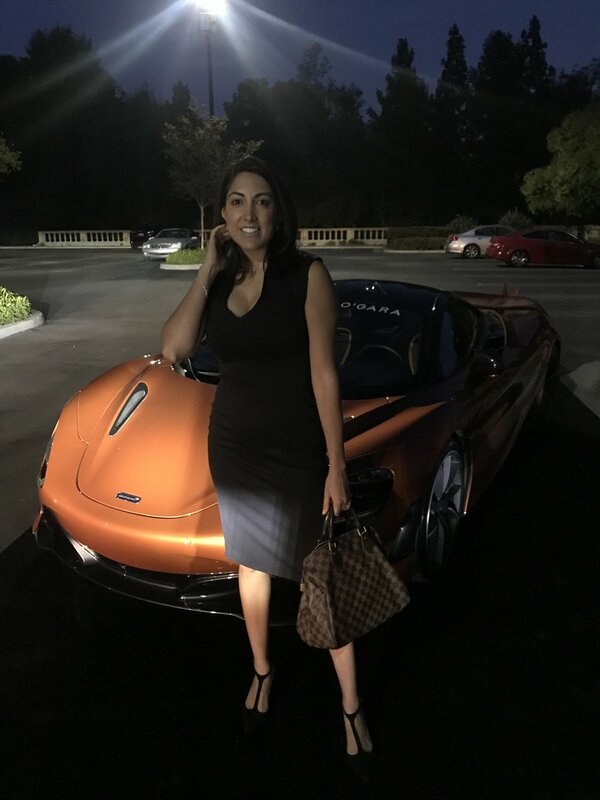 Then greeted by two luxury vehicles provided by O’Gara. Upon entry, you come across the first photo opportunity of the evening, on the staircase overlooking the entire terrace. However, it’s the soft melody from a harp that invites you in. The live music was provided by Kirschner Creative Artists’ Sasha Boldachev. Food and drinks were in full effect by the time we arrived. The food was provided by Crateful catering. Drinks were provided by Morandell Imports, Boisset, and Booze Box. The booze box I have to say was the most exciting find. It’s basically a mixed cocktail that comes in a juice box (yes, the kind from elementary school), which provides people a really convenient way to travel with alcohol. 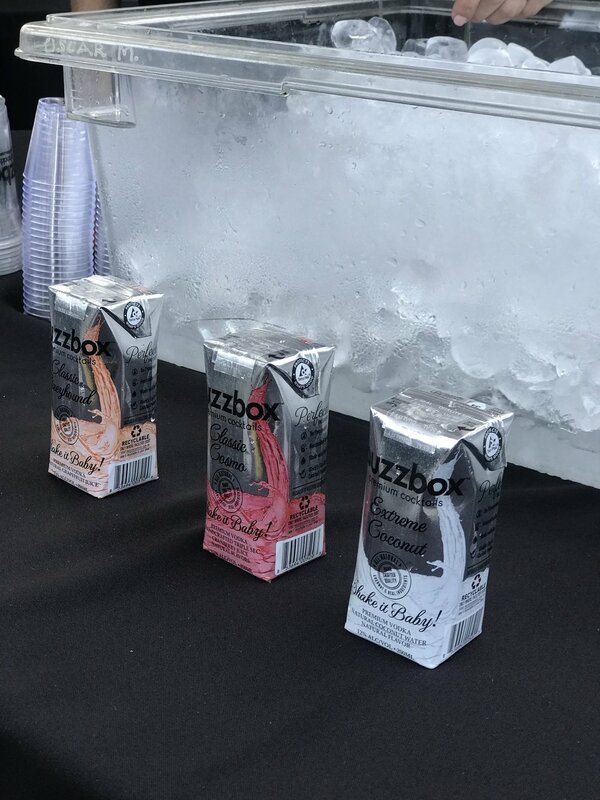 We all know glass is usually prohibited at the pool, and for good reason, but with booze box you can have your cocktail without worrying about anything breaking. Genius!! 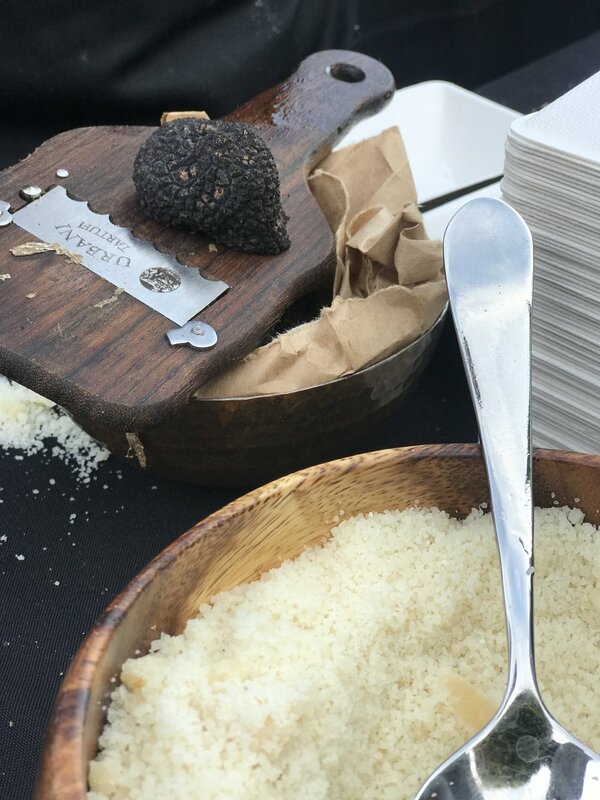 I don’t think anyone could disagree that the best dish of the night was the truffle risotto. Simply divine! We are now 6 months into Mayor Julian Gold M.D.s term, with 6 more to go. At the affair he touched on financials, stating that Beverly Hills is in a strong standing position. He also mentioned the recent ban on motorized scooters due to recent safety concerns. I found this to be interesting because I have personally used these motorized scooters and rental bikes on a recent trip to San Diego and found them to be really nifty. He went on to say that they will be looking into this further to see how they may be incorporated in a way that takes into consideration all the safety concerns that the city has. Me with Mayor Julian Gold M.D. 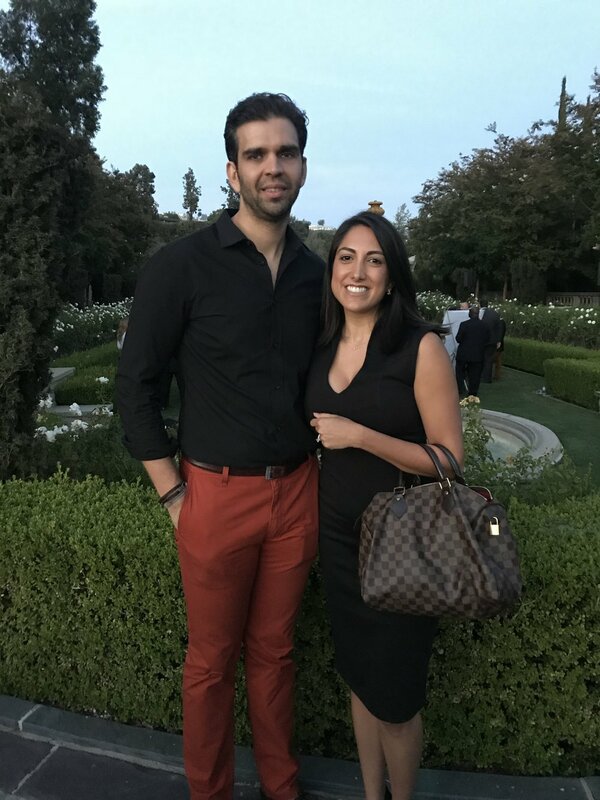 All in all, it was such a beautiful evening I feel honored to have been a part of it. A little tidbit I learned towards the end is that it said that the actual mansion on the property is haunted! Apparently, four months after Ned Doheny moved into the mansion, he was found dead in a murder-suicide, by his secretary. Supposedly you can take a tour of this haunted mansion, and you better believe I will be doing that tour, so keep a eye out for that! Tell me, are you brave enough to visit a haunted mansion?